Whether you’re hiding the innocent faces of those who got caught up in your smartphone video Smartphone Spielberg: How To Shoot Striking Videos on Your Mobile Smartphone Spielberg: How To Shoot Striking Videos on Your Mobile The best camera you can possibly lay your hands on is the one that you currently have on you, or so the saying goes. Ever since hardware manufacturers started putting bigger and better cameras on... Read More shenanigans, or you had an “oops” moment on an otherwise good video, YouTube’s blur feature is here to save the day. 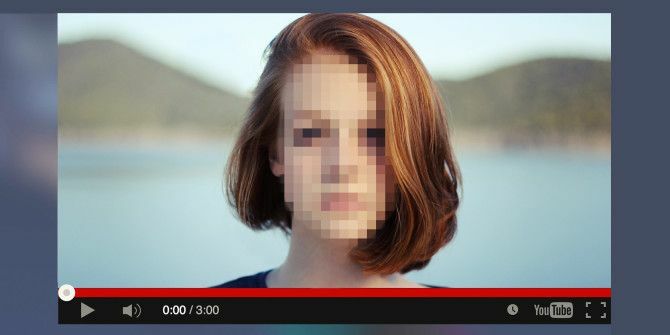 These days, it’s super easy to apply a facial blur to YouTube videos. In fact, to do it, you don’t even have to leave the website. First things first, log in to your YouTube account. Next, click the icon in the upper right (the one with your photo image) and select Creator Studio > Edit on the video you’d like to apply the blur to. From there, click Enhancements > Blurring Effects > Apply. Now you can preview the video with and without the blur, as well as move the blur around to only cover areas that you want to keep anonymous. If you need to dive into more advanced video editing How to Edit Videos Like a Pro: 8 Tips You Need to Master How to Edit Videos Like a Pro: 8 Tips You Need to Master If you're just getting into the editing game, you may be confused as to what to do with the many millions of clips you have... well, we're here to help. Read More , we’ve got you covered there too. Here’s a quick sample of how it works using a video from my account, and my son explaining his Arduino project. What other quick and easy YouTube video tips can we help you out with? Let us know in the comments below. Explore more about: Online Video, Video Editor, YouTube.